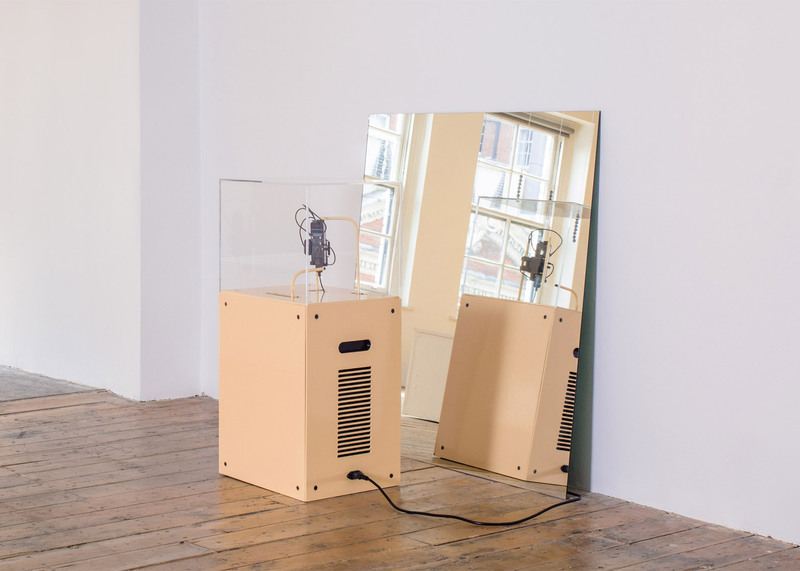 London's Aram Gallery is hosting an exhibition of conceptual products that highlight visitors' dependance on digital communication, including a selfie-taking robot and a plugin that reports on internet usage patterns (+ slideshow). The Unread Messages show, which was put together by creative agency Six:Thirty, is divided into three themes: Empowered but Dependent, The Curated Self and Compulsive Behaviours. 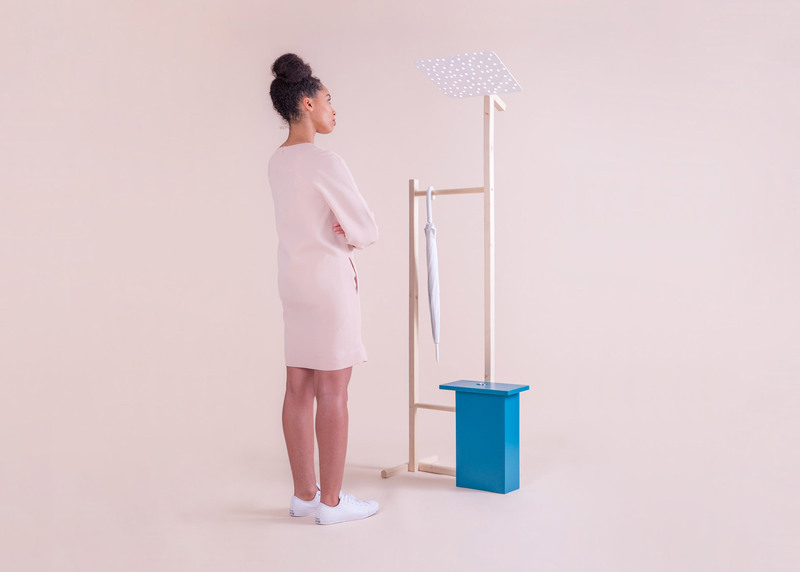 It features objects created by designers from around the world, which are intended to help users develop a healthier relationship with technology, and stop feeling "enslaved" by devices. 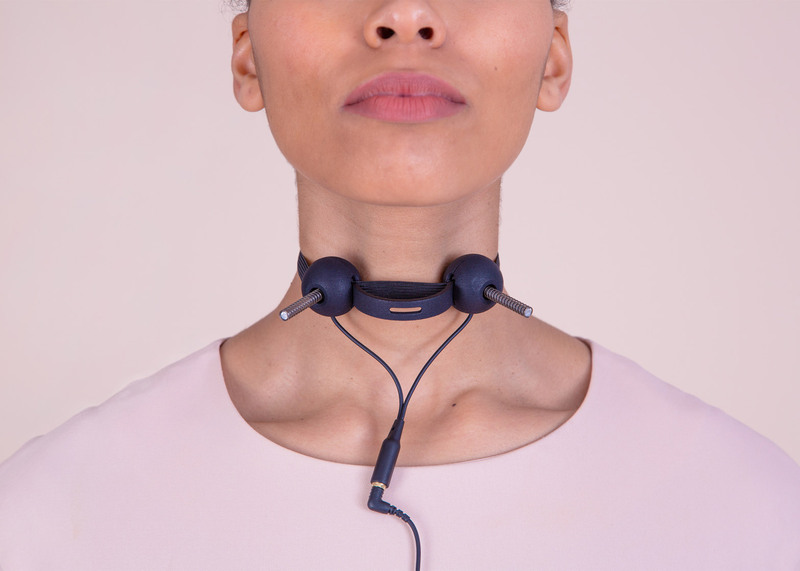 Tokyo designers Takram have created a collection of wearable electronic devices that parody users' obsession with checking social media, by measuring and recording physical tics instead of social updates. The accessories are worn around the calf, neck or eyes, and have been designed as a subversive alternative to a future where human beings are perpetually monitored by machines. 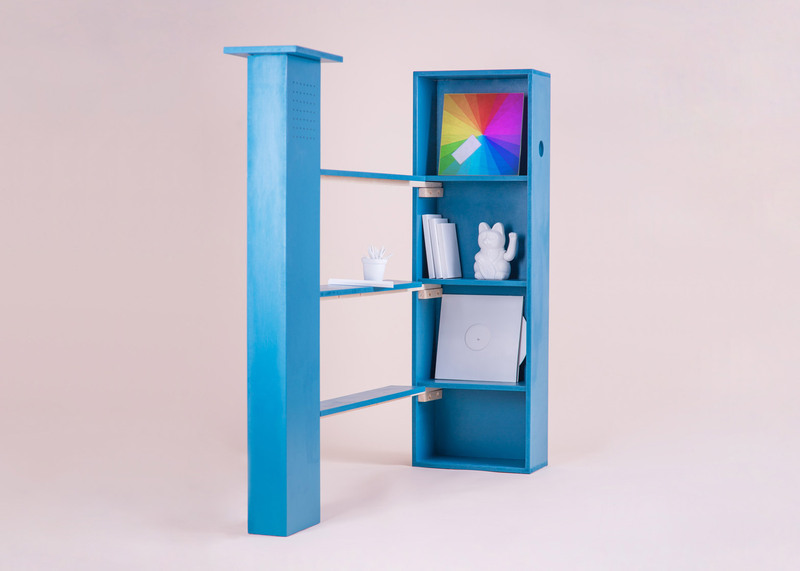 Scottish designer Dean Brown's Social Storage furniture includes a bookshelf, coat stand and globe that address "the gap between our online and offline personas". 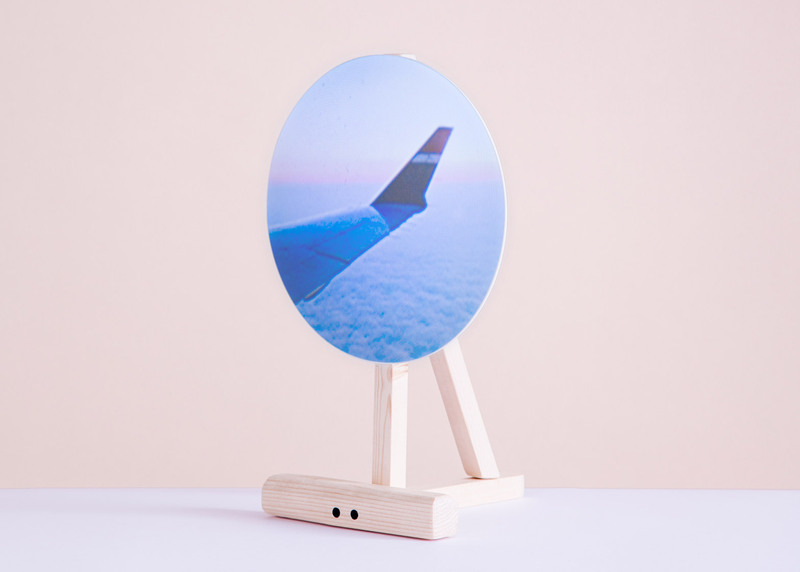 Instead of storing CDs and records or displaying photographs, owners can use small projectors in the furniture to digitally augment it with Spotify playlists or Instagram images. "Overall Social Storage creates a more realistic and well rounded space for our online and offline tastes, and gently nudges these somewhat removed aspects of our personality back into the home," said the gallery. 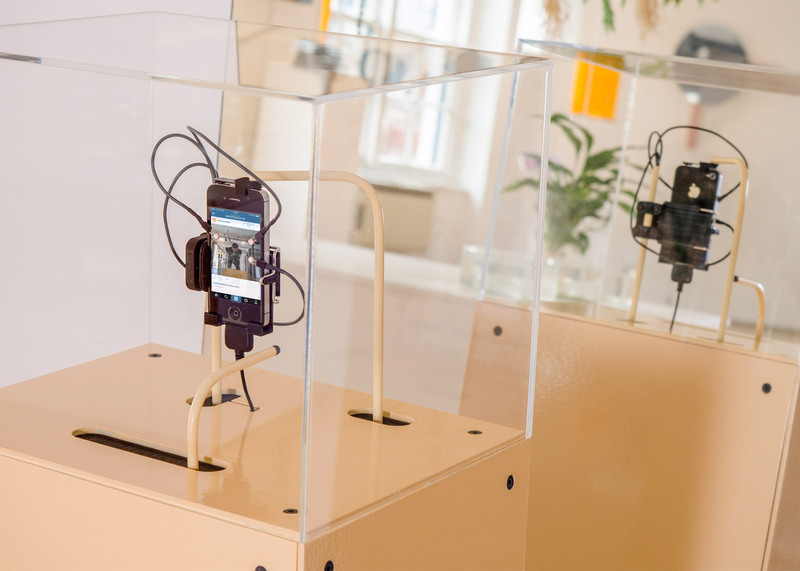 Barcelona designer Daniel Armengol Altayó has similarly tackled social media obsession, creating a mechanical device that clasps a smartphone and uses a moving arm to repeatedly take selfies and post them to Instagram. 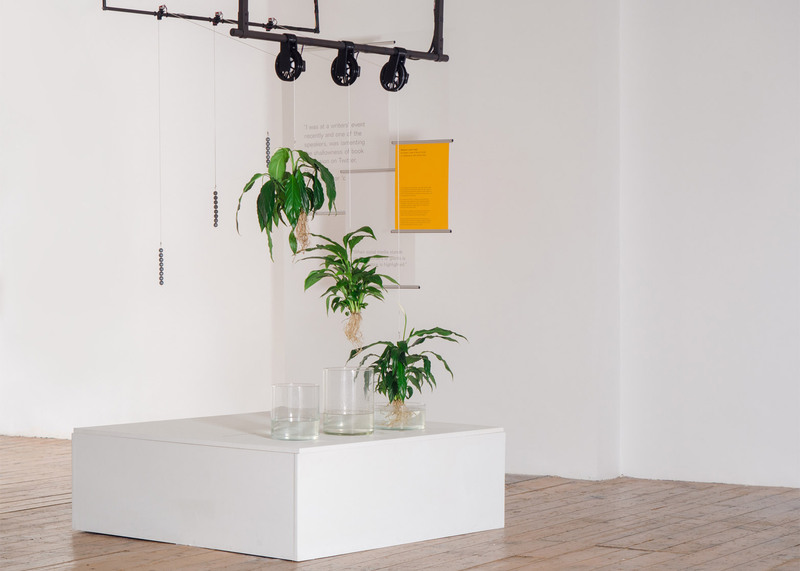 Gastón Lisak and Nicole Vindel's Believe In Your Feed installation also relies on social media, and features three plants suspended over glass vases. 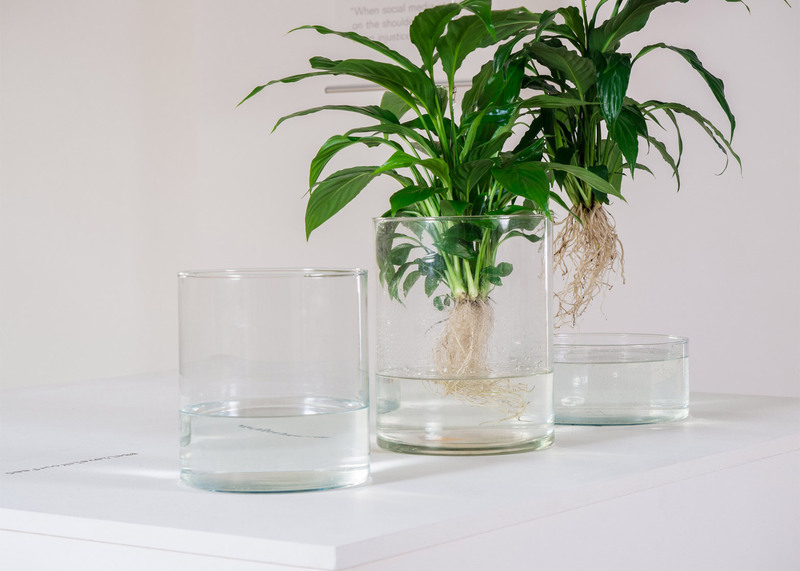 Each plant is lowered briefly into the water when its corresponding hashtag is used on Twitter. Other designers have focused on creating digital products, such as Matan Stauber's Away From the Moon website concept. It uses a webcam to adjust the amount of text shown, depending on the user's distance from the screen. London designer Paul Macgregor's I/O browser plugin visually tracks how long has been spent browsing, as well as recording habits and identifying patterns to "gently guide users away from excessive internet use". 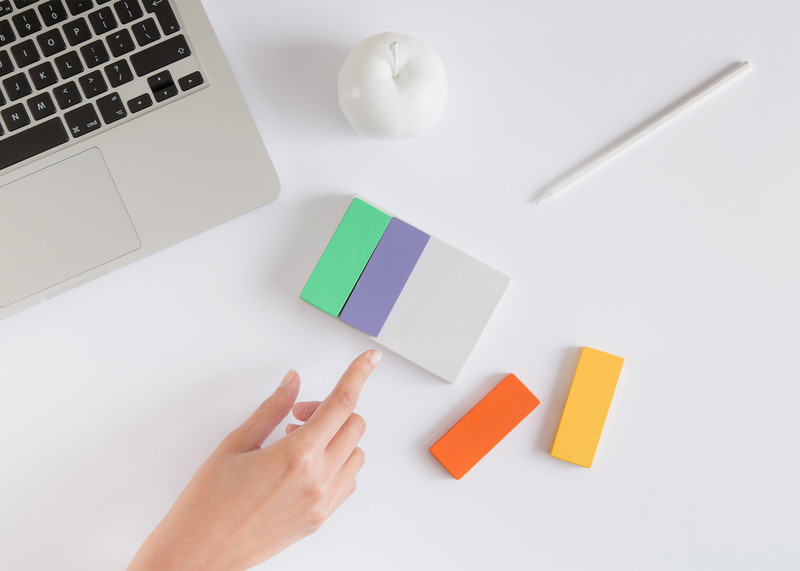 Matteo Loglio has also created a browser extension, that links to four coloured blocks that can be used to set limits on how long a user can browse for, and what content they look at. 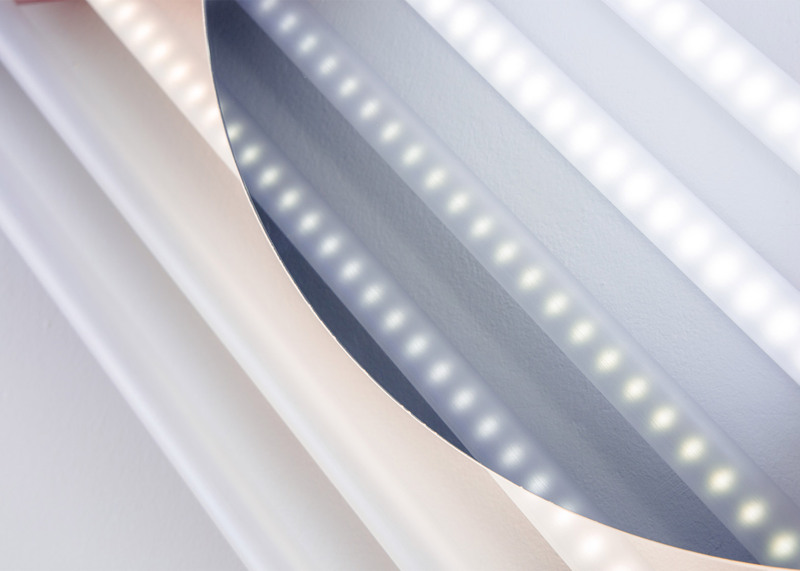 Italian design duo Zanellato and Bortotto's Window mirror responds to a user's mobile or laptop usage as well, with hidden LED lights that gradually turn on to decrease its reflectivity over time. 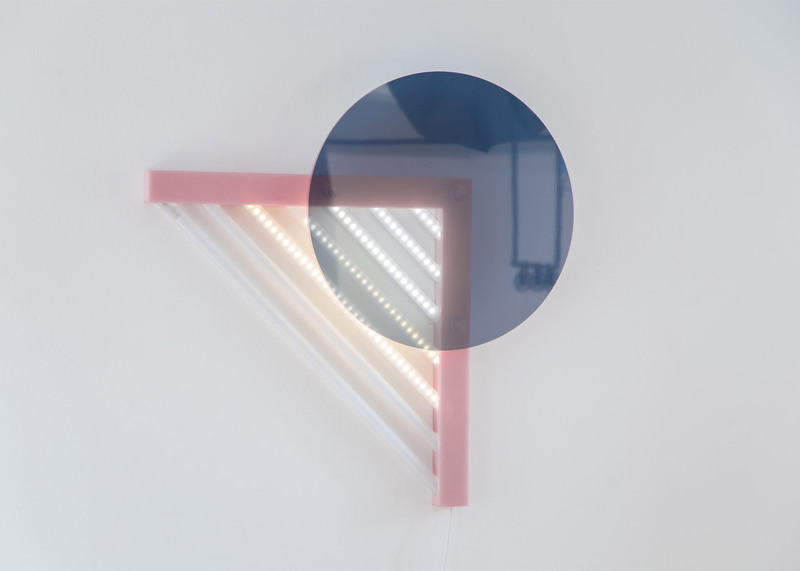 The Aram Gallery was founded in 2002 by Zeev Aram, creator of the influential Aram Store, which specialises in Modern and contemporary furniture design. Unread Messages opened at the gallery on 11 March 2016 and finishes 9 April 2016. Other technology themed exhibitions currently running include a show at the Museum of Fine Arts, Boston, that explores how the field is changing fashion. Design Academy Eindhoven graduate Laura Cornet also addressed our everyday reliance on social media, creating a set of soft toys that lets babies upload photos, videos and activities to the internet. Photography and video is by Six:Thirty.